If you are having trouble with mice or rodents in your home (or garage) and are in search of rodent control or rodent removal, call Bug Authority at (615) 472-1292. Bug Authority is one of the most experienced pest control companies in Franklin, TN, and we specialize in the removal and control of mice, rats, and rodents in Franklin, Brentwood, Spring Hill, and Greater Nashville. House mice live in and around homes, farms, commercial establishments and in open fields, and agricultural lands. The onset of cold weather in Nashville each fall cause mice to move inside structures in search of shelter and food. When trying to control mice and rodents, it is extremely valuable to have a knowledgeable service professional inspect your property and locate all nesting sites and conducive conditions that promote mice activity. Bug Authority specializes in rodent control and can quickly identify how to control mice in any environment. The house mouse is a small, slender rodent that has a slightly pointed nose and small, black, somewhat protruding eyes. They have large, scantily haired ears and a nearly hairless tail with obvious scale rings. A very adaptable species, the house mouse lives in close association with humans, and therefore is termed a “commensal” rodent. House mice eat many types of food but prefer seeds and grain. They are not hesitant to sample new foods and are considered “nibblers,” sampling many kinds of items that may exist in their environment. A single mouse eats about 3 grams of food per day, but because of their habit of nibbling on many foods and discarding partially eaten items, mice destroy considerably more food than they consume. House mice are mainly nocturnal, although at some locations considerable daytime activity may be seen. Seeing mice during daylight hours does not necessarily mean there is a high population present (although this usually is true for rats). Mice have poor eyesight, relying more on their hearing and their excellent sense of smell, taste, and touch. They are considered essentially colorblind. Mice may breed year-round and a female may have 5-10 litters per year, therefore mouse populations can grow rapidly under certain conditions. During its daily activities, a mouse normally travels an area averaging 10-30 feet in diameter, seldom traveling beyond this area to obtain food or water. Mice constantly explore and learn about their environment. They memorize the locations of pathways, obstacles, food and water, shelter, and other elements in their domain. 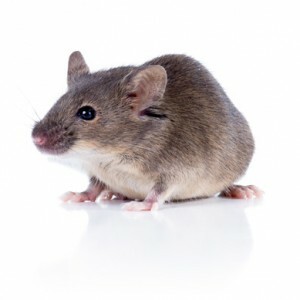 If you believe you are having trouble with house mice, rats, or rodents and are in need of rodent control and removal services, please contact Bug Authority at (615) 472-1292. You may also request more information on our rodent and pest control services.